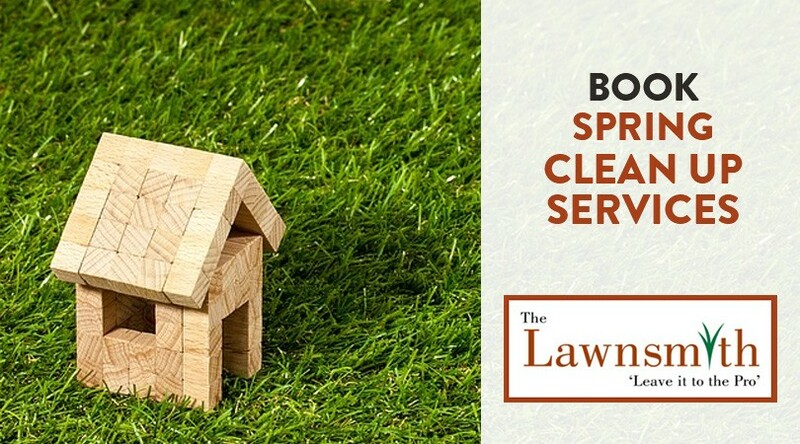 The Lawnsmith provides complete spring clean-up services for your lawn. This includes raking, mowing, and removal of debris from the cleaning. By clearing away decayed plant growth, your lawn with get an opportunity to fully soak up the sun and warm rains. After the winter’s debris has been removed, applying lawn fertilizer helps to keep crabgrass and other weeds at bay. The Lawnsmith guarantees satisfaction with our 6-visit service! Although it may seem simple to apply lawn fertilizers, there are many factors to consider, including soil type, varieties of fertilizers and even how your lawn is utilized. For example, do you have pets and kids that enjoy spending time on your grass? We use only products safe for families and pets. Do you use a lawnmower? Now’s a great time to have it checked over by a lawnmower technician, or if you’re technically inclined, complete a few steps of basic maintenance. These would include sharpening the blades, changing the oil, and checking or replacing the spark plugs. You’ll want to make sure that you cut your lawn early in spring, so the sooner your lawnmower is ready, the more quickly you’ll be able to attend to your lawn’s early growth. As you’re checking out your lawnmower, don’t forget to bring out hoses and other garden tools to an easily accessible area for the rest of the season. Inspect your garden hoses for leaks or cracks, and try flowing water through them to ensure you have no issues with water pressure or other complications. While lack of precipitation isn’t too much of an issue typically in our spring months, it would be wise to test your irrigation system for malfunctions prior to a heat or dry spell. The last thing you’d want is to have your beautiful lawn succumb to a lack of irrigation. Try testing each zone and check drip emitters and sprinkler heads. Mulch does much to protect garden spaces. In the hottest of months, mulch can provide protection to roots and undergrowth. Additionally, the mulch can assist in holding moisture within your soil. The Lawnsmith can make the heavy task of mulch installation simple by installing your mulch for you. Get a FREE ESTIMATE for this service here. Once spring hits, we tend to go a little crazy after our long winters! It’s easy to want to avoid these tasks altogether and head outdoors to explore instead. Keep in mind that The Lawnsmith lawncare service is a perfect alternative to you spending time on your lawn, and being able to spend it out and enjoying the warmer temperatures with your family! Our lawn care team is professional and experienced. We look forward to helping you enjoy all this season has to offer!